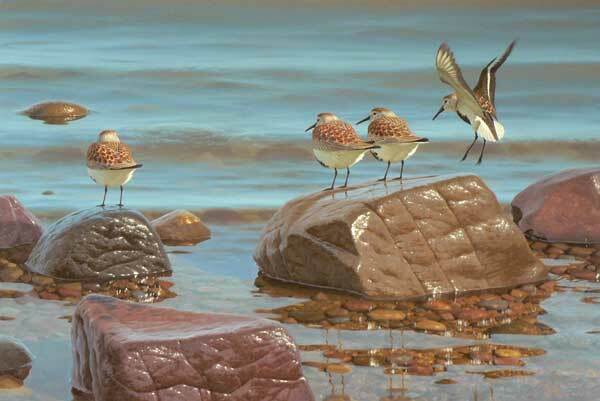 Due to popular demand I have just published a new giclée print of this recent painting of Dunlin. 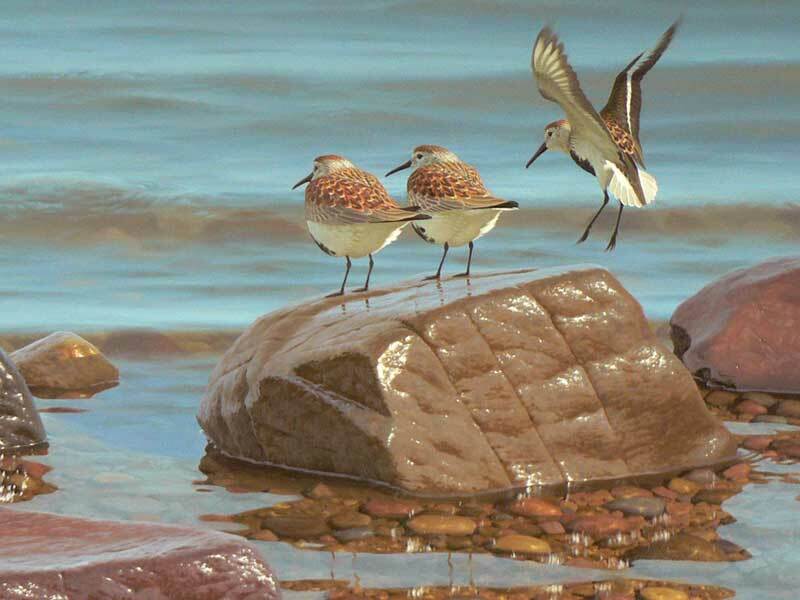 One Spring afternoon I watched this small group of dunlin flitting along the shore. It was a spring tide and as high water reached its zenith this little band of travelers was being pushed off the few remaining exposed rocks at the top of the beach. Nervous and flighty, they skittered from rock to rock until suddenly, at some unseen signal, they lifted off, trilling excitedly as they wheeled across the bay, heading northwards on the next stage of their long migration.